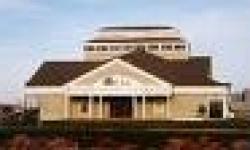 The PEI Museum and Heritage Foundation is an integral part of the Island's community and manage the Eptek Art and Culture Centre in Summerside as part of their seven Museum sites in Prince Edward county in Canada. Museum and Heritage Prince Edward Island operates seven provincial Museums and heritage sites in Prince Edward Island, providing Islanders and visitors alike with an opportunity to discover our Island heritage and culture. Learn about our fishing, shipbuilding or agricultural heritage or delve deeper into the Acadian culture ? whatever your interest, the PEI Museum offers an encounter with the ?authentic Island story?? 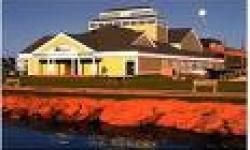 Eptek Art and Culture Centre is the only one located in Summerside, of the seven Island sites. The Centre offers regional and Island exhibits year round showcasing themes ranging from history to art, including periodic displays of the permanent collection of paintings by the late Island artist, Dr. Georgie Read Barton. Sample the rich culture that Islanders and visitors alike are sure to find intriguing. Eptek hosts a solo exhibition by local artist Terry Dunton Stevenson. As the title suggests, the exhibit includes both landscape paintings and mixed media work. The artist?s landscape paintings include large representational panels as well as more abstract interpretations of landscape and life. The mixed media pieces incorporate fabric and lace. All the work exemplifies the artist?s unique style and wonderful sense of light. Island artists and craftspeople will be on hand at Eptek Art & Culture Centre for demonstration days again this summer. These activities provide a great opportunity for the artists to chat with the public and demonstrate their work. Embossing Workshop: Do you want to create a work of art, special card, or treasured scrapbook page? Join professional artist Terry Dunton Stevenson at Eptek Centre for a paper embossing workshop. The finished piece will be approximately 8" x 10"with a low relief. This is a hands-on workshop where participants will design and execute a bas relief that they will use for embossing the prepared paper. 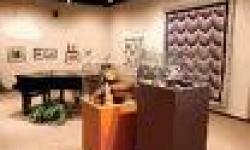 Prince County Birdcarvers Exhibition - November 19 to February 19 locally carved birds and wildlife. Friends of Eptek Auction - goods and services charity auction featuring collectibles and antiques special refreshments served following the sale. Eptek Book Club will holds its last meeting of the season on Thursday, June 4 at 7 p.m. ?Infidel? by Ayaan Hirsi Ali. New members are always welcome. The on site boutique featuring Island made crafts and visual art including work by artists P. John Burden, Sandi Komst, Joan Savage, Maurice Bernard, Doreen Huestis, and more.